If there’s something we never tire of, it’s freshness. And that freshness has just moved closer to us! 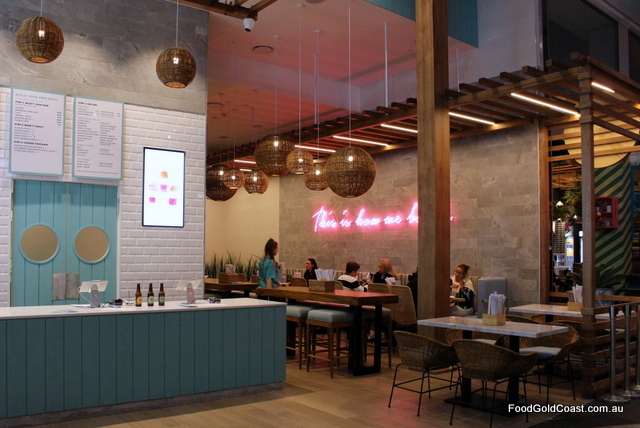 The first dedicated poke bar to open in the south-east corner, Finn Poke, recently opened their second venue upstairs in Pacific Fair exactly a year after the opening of their Byron Bay shop. 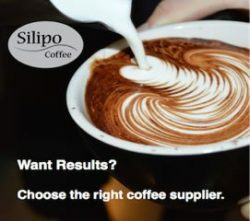 “We started the business to bring our family together and, at the same time, create a revenue source,” Jem tells us, adding that the brand has been so well received that the group opened on Burleigh’s James Street in July 2018, the Pitt St. Sydney store opening in April 2019. 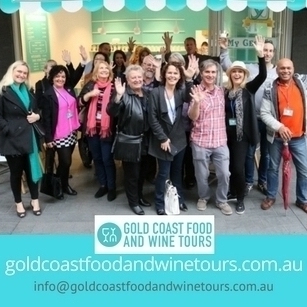 All three Gold Coast venues are high traffic beachy areas where health is a priority of the population. 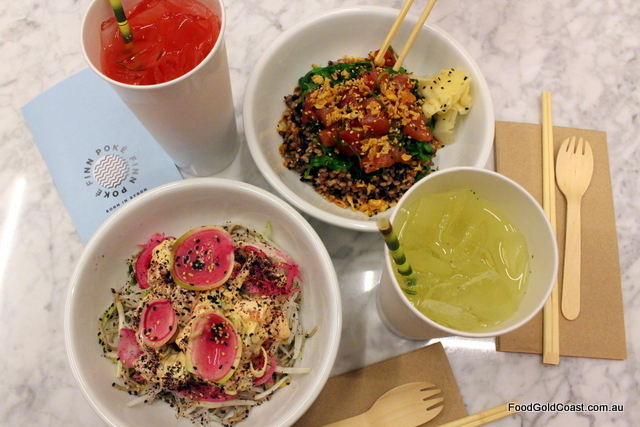 Health is a big focus for the store, and we can’t think of a better fast casual lunch! Yes indeed! With their premium fish the closest we’ve tasted in freshness to Hawaii, these are great looking bowls! Taking the concept of Farmhouse’s traceability, ‘curated’ is the word Jem uses. It applies not only to sustainability of resources, the use of sustainable seafood only, but also to the ‘curation’ of each bowl to achieve balance of flavour and texture. First, we choose our base (organic house blend rice, buckwheat salad or citrus kale), then comes our ‘Signature’ topping (with the freshest fish, veg or tofu) and sauce, made to order in a kitchen we can see through ceiling-to-waist glass. We choose three of Finn Poke’s ten signature bowls: The Big Katuna of local Mooloolaba line-caught tuna, seaweed and ginger, Dr Beets (roasted beetroot, orange and avo) and The Sword, with swordfish, pineapple, green chilli and coriander) on different bases, each one a winner for different reasons. We’re fish lovers, so the fresh richness of seafood is our preference, however two vegetarian options (beets or tofu) add breadth to the menu. 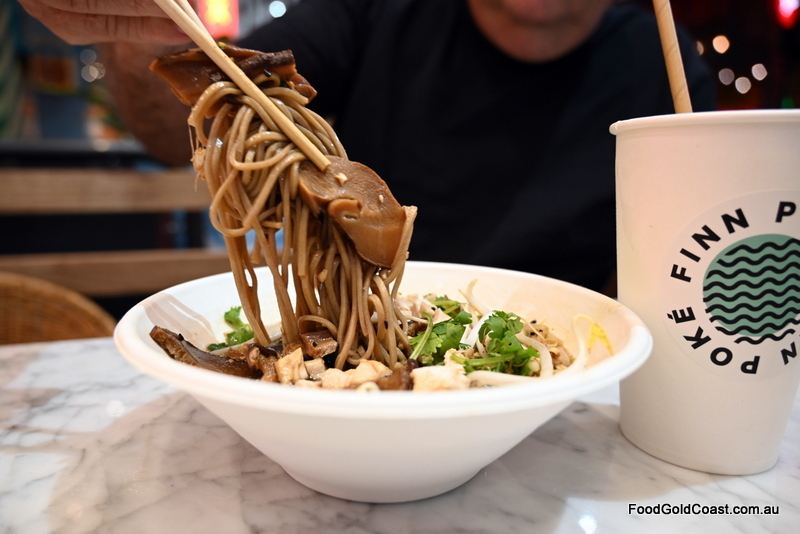 “Curation of each bowl gives a better mouthful and makes the presentation more photogenic,” says Jem, adding that their goal is to give fast casual dining the quality of fine dining restaurants because of their careful sourcing of ingredients. Highly appealing ‘Instaworthy’ presentation is definitely a Mod Oz addition, we note, as Hawaiian poke is often bought by the pound! That aside, there’s little attempt to take us out of the zone here, founded in the belief that classic time-tested combinations are best, given added zest by local pristine-fresh flavours – pickled Queensland pawpaw for gut health, the punch of local finger-lime ‘caviar’, watermelon radish and citrus kale. (No, there’s nothing wrong with chicken karaage in a bowl except that then it’s not poke, is it!) Besides, fresh is best! With sauces made from scratch, using the best soy and sesame oil you can buy, (yuzu bottled fresh for extra zing), Japanese accompaniments (nori, shoyu, daikon, shiso, seaweed salad, pickled ginger, edamame, togarashi, tobiko caviar, shitake) they take pride of place in each bowl, just as they do in Hawaii. Swordfish and tuna are locally line-caught in SE Queensland, MSC certified sustainable, the salmon sustainably farmed and certified, an element lacking in Australia’s kingfish, Jem tells me, which is why there’s no kingfish on the menu. Local and certified sustainable, this is top sashimi-grade fish without the pricetag! #howsexyisyourpoke? “We take from the ocean, so we need to give back,” says Jem, explaining the group’s focus on sustainability, the store’s use of recycled paper, wood and glass instead of single use plastics, even down to non-plastic straws. Moving into cooler months, Finn Poke has rolled out their #warmbowls: the new Steak Bowl filled with slow-cooked, grass fed beef and the vegan Shroom Noodle Soup filled with loads of wild mushrooms on a bed of soba noodles in a very moreish umami broth. We know you’re going to love them both! Alongside their house special watermelon and basil agua fresca, there’s a range of sake on offer, as well as kombucha, Stone & Wood beer and nitro coffee. Aligning themselves with not-for-profit eco organisations, a proportion of the profit made from house drinks also goes to these foundations. Top quality, local ingredients, sustainably produced and presented with style at a keen price ($12 – $17 per bowl)…It’s ‘how we bowl’. 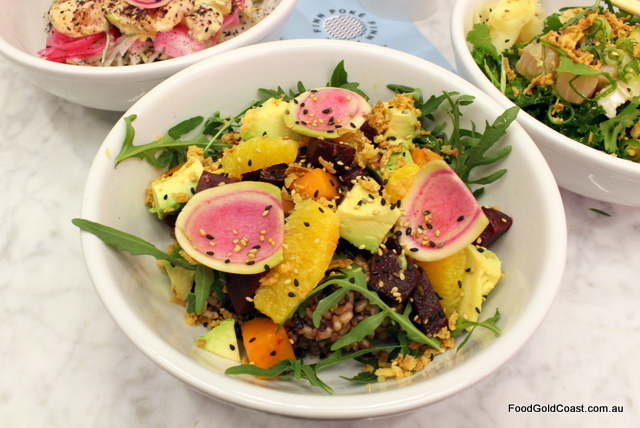 “You’re only as good as your last poke bowl,” says Jem, adapting the words of Le Pain Quotidien’s founder Alain Coumont, stressing their insistence on quality. 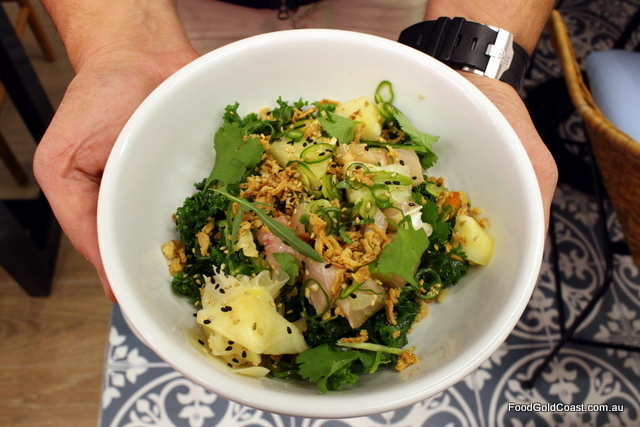 With bright clean flavours washing in from the sea, Finn Poke is a winner. Also at James Street, Burleigh Heads. 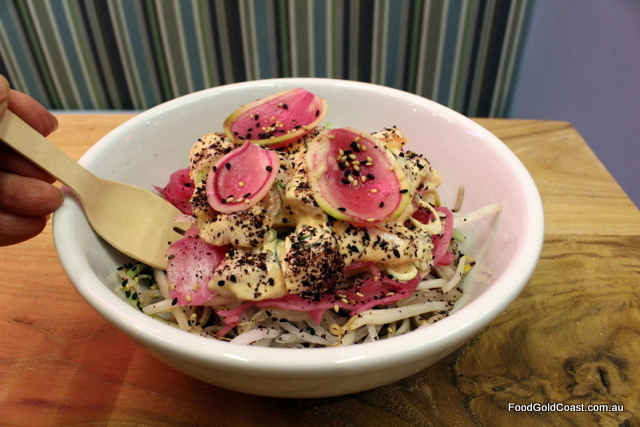 NOTE: Good Food Gold Coast dined as a guest of Finn Poke.